In the world of science, where some problems are much simpler than in the world of human relations, what happens when two bodies attract has been known a while now. To be exact, since 1687, the year when Newton made the law of universal gravity known by publishing his work, Principia mathematica. The treatise, however, conceals an enigma that has fascinated physicists' minds for the past three centuries. In proposition 66 of the first book, Newton states that the law of gravity can only explain the interaction between two bodies. For the great scientist, and generations of physicists thereafter, what happens when three or more bodies interact (as for instance the Earth, the Sun and the Moon) is still a mystery to solve. Known as “the three-body problem”, the enigma is one of the oldest in the history of physics and is still of vital importance today. Indeed, a better understanding of the effects of the gravitational attraction amongst three or more celestial bodies would allow to precisely define the orbits they trace, thus comprehending how planetary systems function. Since Newton's time, three so-called “families” of periodic solutions have been discovered, but they are partial and approximate and do not cover all aspects of this complex problem. A few weeks ago, though, the situation was upturned. The number of “families” increased to thirteen, bringing the “three-body problem” ever so closer to being definitively solved. The merit of this extraordinary advance goes to two researchers from the Belgrade Institute of Physics: Milovan Šuvakov, an expert in particle physics, and Veljko Dmitrašinović, who works with radiations and numerical simulations. The news of the discovery immediately circulated among the world's most important scientific communities. After an official presentation in the United States, the research was published in the renowned physics journal, Physical Review Letters, and recently referred to in an article on Science. In an absurd - as well as depressing - upturn, the details of this research, which has already swept the world, could remain inaccessible to the same Serbian scientific community. As a matter of fact, in early April some important scientific publishers, among which Oxford University Press, decided to revoke Serbian institutes of research access to the main academic data bases. These data bases collect articles and papers published by the most important international scientific journals. The decision was apparently made on the grounds of the Ministry of Education, Science and Technological Development missing the payment of the 2013 subscription. Through the aforementioned Ministry, the Serbian State has invested in this important service since 2001. It is handled by KoBSON, the Serbian Library Consortium for Coordinated Acquisition. This platform works as a “knot”: it manages all subscriptions to academic data bases that are then made accessible to education and research centers. According to the Society for Promotion and Popularization of Science (DPPN), the same Milovan Šuvakov being its President, the cause of the mismanagement that has led to the non-payment of the subscription could be the lack of skills brought by the unification of the Ministries of Science and Education in March of 2011. Whatever the technical reason for the incident is, the limited possibility to use some important academic publications is going to be a problem for different categories of users. The people who are going to be most affected are obviously the same scientists and researchers, who may remain unaware of the most recent advances in their own research areas. This, however, is going to also affect the development of the technological industry and, in particular, the sectors operating in the field of the so-called “cognitive capitalism”, i.e. the industries of creativity. Their wealth does, indeed, depend to a large extent on keeping pace with scientific progress. Finally, this situation is going to also be hard on students of the so many universities in the Country who benefit from the services of KoBSON. The reactions from the Society for Promotion and Popularization of Science and its demand for urgent clarifications on the role of science in the Serbian Government's development strategies were accompanied by protests from various professional organizations and politicians, especially the Green Party (Zeleni Srbije). Another example which shows very well the consequences of the mismanagement of public funds for scientific research is the Petnica Research Center, in the city of Valjevo. In the course of time, the center has carried out science-based education programs for over 3,000 students in junior-high and high-school. This year, however, the Ministry of Education, Science and Technological Development has not allocated the funds needed for programs for the most talented students, despite last year's agreements. As a consequence, the center will probably have to cancel all the traditional seminars in April and May, after having to cut expenses in the past on accessing academic data bases and drastically reduce the purchasing of books. 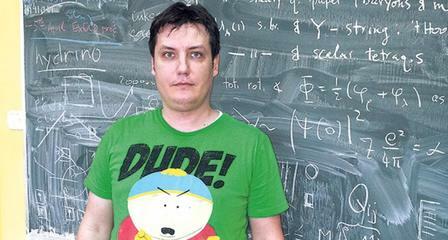 According to Milovan Šuvakov, the problem of funding research in Serbia is chronic and generalized. In a long interview on Vreme , the scientist, a pioneer of the recent discovery concerning the “three-body problem”, states that investments are below all standards and that if there is no change in this situation, in just a few years in Serbia there will be no kind of scientific research worth mentioning. Šuvakov maintains that the Country can rely on many excellent researchers whom the State should learn to appreciate and support by increasing investments on “excellence” and favoring “brain gain”. When asked how the Serbian version of the “three-body problem” - i.e. the interaction among scientific world, state funds and governmental authorities - can be solved, Šuvakov provides his remedy: increasing the budget for scientific research, abiding by meritocratic criteria and introducing grants for young researchers wishing to work in teams and regaining the talented scientists who have fled abroad. This remedy, though, runs the risk of only remaining a good intention. Indeed, despite having produced, in the past few years, strategic documents recognizing the fundamental importance of scientific development for the progress of society as a whole, the Serbian Government keeps investing no more than 0.9% of its GDP in research. Even though it is in line with the other Balkan Countries (ranging between 0.2% in Albania and 1.86% in Slovenia), the figure is greatly lower than the average of Western European Countries, around 2% (World Bank figures). As stated by some of the institutions and organizations affected by the problems above described, scientific and technological research, education and popularization are crucial to the Country's industrial and commercial development. They are fundamental tools to face the fatal effects of the economic crisis. The Serbian Government, however, does not seem to act in accordance with this point of view, in spite of the recent successes clearly showing the potential of the research activities conducted in the Country. 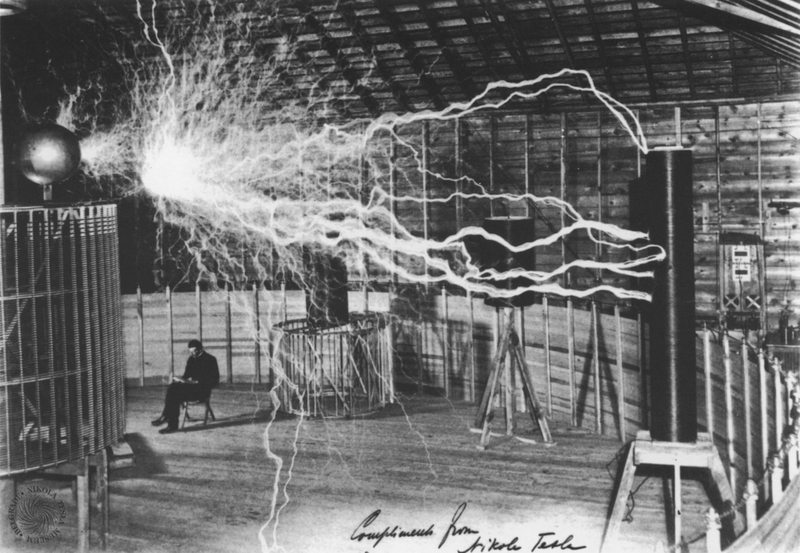 Seventy years after the death of Nikola Tesla, the genius inventor taken on as a national symbol by the Serbs, his words seem timeless: “Human development and progress are of paramount importance for mankind, and ultimately depend on inventions”.